All Dog Rescue (www.alldogmn.org) will be holding meet-and-greets at Total Dog Company the first Saturday of every month. Come meet adoptable dogs on Saturday, November 7, noon-2 pm. 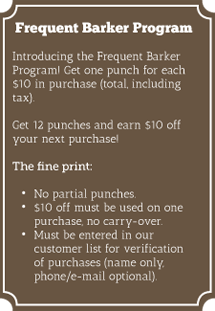 10% discount on purchases made by new adopters the day of the event. 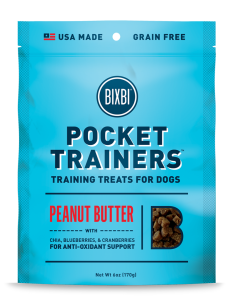 Super soft training treats in Chicken or Peanut Butter flavors. 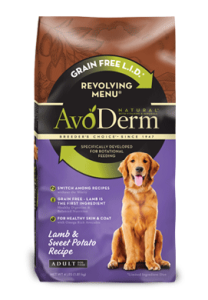 AvoDerm dog food uses quality ingredients with avocado for healthy skin & coat. It’s that time of year again! The Total Dog Company Wall Calendar is in the works. We’ve received lots of photos, but could use even more! Please visit: https://www.totaldogcompany.com/show-us-your-total-dog/ to upload and send your high-quality pictures and submit your ideas on our next calendar theme! A neutral party will select the pictures for each month, and one for the cover. Each of those 13 families will receive one free copy of the calendar. Even if your dog is not on a monthly page, he or she will be included in a collage at the back of the calendar, so everybody is a star! The printed calendars are expected to be in the store around Thanksgiving – making a great holiday gift! 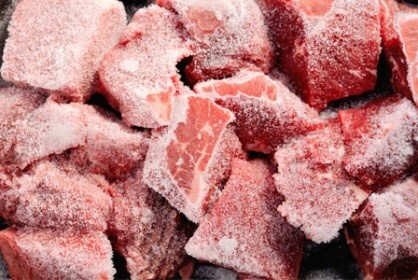 Customers occasionally mention that the frozen raw food they get from Total Dog Company has “freezer burn.” I want to address this issue because I think there are different definitions of the term freezer burn. Some of the conditions mentioned by customers are concerns that we should know about so we can discard the product and others are caused by the nature of the retail freezer or the product itself. It is caused by air getting to the product which evaporates the moisture (ice) in the product and the product getting dried out and tough and discolored. 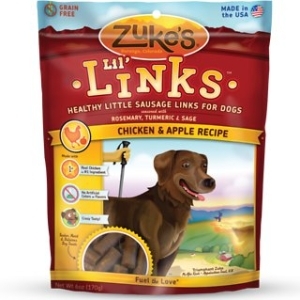 How does air get to the product? Number one cause is there is a hole in the bag! We try to stop any food with a hole in the bag from getting to the shelf when it is delivered. But occasionally we miss a small hole, or customers looking at the product or moving it to get to another product cause rips in the packaging that we don’t notice. If you notice a product with a torn bag, please let us know so we can take it off the shelf. We don’t sell product with holes in the bags. Number two cause is that the product has been around for so long that the moisture has migrated out of the product even inside of the closed bag. We address this by watching the expiration dates on products in the freezer and on the shelves. Frozen food is discarded if it is past its expiration date. 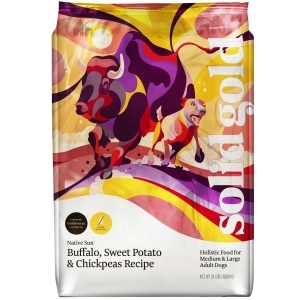 Also, we stock very leanly—at this stage of our life as a store, usually just one or two bags of each product—so that it turns over often and is used before freezer burn could occur. Ice crystals forming on the product inside the bag. This could come from moisture on the product when it is packaged, or from moisture migrating out of the food. It tends to happen more when the product temperature has fluctuated, and in a retail situation, that happens. From the manufacturer to the distributor and from the distributor to us and from us to the freezer there are opportunities for temperatures to fluctuate. All distributors have frozen food hoppers in their trucks to keep product frozen and we drop everything to get frozen products into the freezers as soon as they are delivered. But there’s still that amount of time that product is out of a controlled environment. Also, every time the freezer door is opened—which happens all the time in a retail setting—the temperature inside the freezer fluctuates. Bottom Line: Expect ice crystals, but don’t tolerate freezer burn.